Painted 12,500m2 of Noise Wall. Smooth and profiled surfaces. 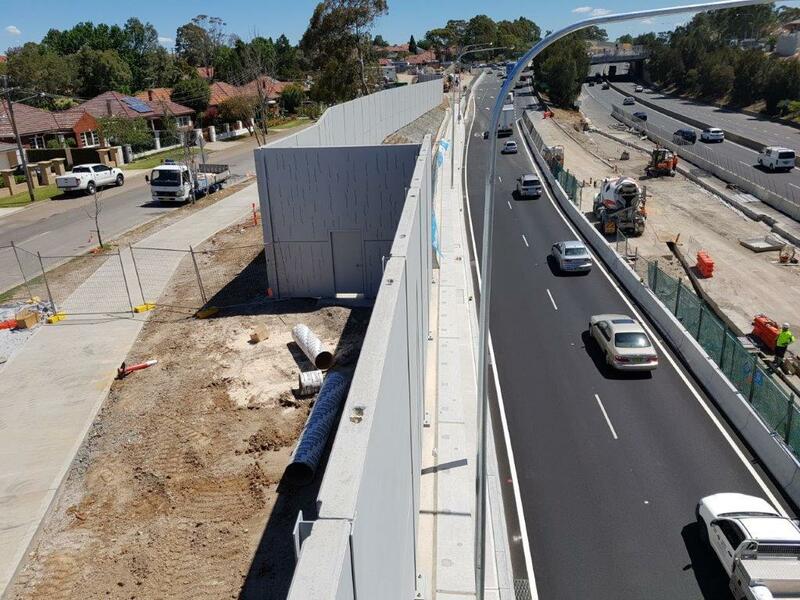 Anti-Graffiti to 16,500m2 of Noise Barrier Walls & Retaining Walls. Joint Sealed 2kms of coping beams. Painted 175 steel posts on bridges. Painted walls in some pretty inaccessible areas.